Move over Renault – there’s going to be a new compact electric car in town. Crazy concept and electric cars are a recurring theme at the CES show in Las Vegas. This year’s show hasn’t disappointed so far, with the reveal of the radical Faraday FF 91 that became a massive talking point in the auto industry thanks to its incredible, record-breaking performance making it the fastest electric car in the world. In stark contrast to the FF 91, here’s something a little more modest that will be appearing at the show this week: a new compact two-seater electric car called the Eli ZERO. Touted by its startup creators as “the new A to B," from the official photos it’s fair to say it bears more than a passing resemblance to the Renault Twizy electric town car. Look closer, however, and it soon becomes clear that the Eli ZERO is a more practical alternative – unlike the Twizy, it has a closed cockpit with fixed doors and windows. 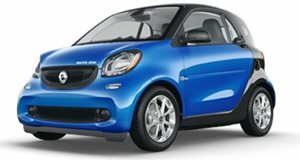 From the front, it looks like a miniature Smart ForTwo, but its smaller size makes it better suited to congested cities. The company describes the Eli ZERO as an “advanced, yet simple product that will fundamentally shift how we engage with urban fabrics. Smaller, simpler and friendlier, Eli ZERO is the ultimate two seater mobility device for agile daily movement. Eli ZERO reimagines the NEV and addresses the dynamic transportation demands of modern cities and towns by offering a versatile driving solution for both urban and suburban neighborhoods.” Further details on the Eli ZERO are expected to be revealed at CES this week.